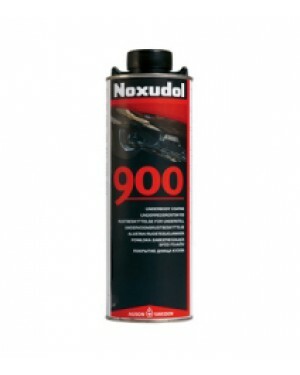 Noxudol 900 is a thixotropic, chemically stabilized product consisting of bitumen, waxes, rust inhibtors and solvents. The product is used on the underside of the vehicle (underbody coating) and offers preventive rust protection and reliable abrasion protection. The product is also suitable for long time outdoor storing of industrial products, for example untreated steel surfaces, machines etc. Noxudol 900 is especially composed for car underbody and can be applied by conventional high pressure pumps in different thicknesses. Gives a good anticorrosive protection and some abrasion protetion depending on thickness applied.